Aside from learning to walk and talk, one of the more formidable moments of a child’s young life is when they first learn to ride a bike. Bicycling is a great pastime for children, and it can grow into a lifelong interest as well, whether they continue to love leisurely riding a cruiser or taking up mountain biking or speed cycling as adults. But learning to ride a bike as a child is more than just a Hallmark milestone; learning to ride a bike can help improve a child’s coordination, it can foster a sense of independence and individual capability, it can help encourage them to stay active and exercise, and it can also teach them about the importance of safety. Most children start out on a tricycle or a two-wheeler fitted with training wheels. These types of bikes provide balance so that children can ride safely while they build their own sense of skill and prowess. When a child is ready they can upgrade to a two-wheeler, free of any support, and ride on their own. This progression definitely takes practice, but it also takes a sense of courage as well. Physically riding a bike takes a lot of coordination and thought, especially early on, so by learning to ride a bike children are utilizing these important parts of their brain in order to propel themselves forward. Practice makes perfect! Leveling up to a two-wheeler can help provide kids with a tangible goal that they can strive for, which can help kids when they set goals for themselves throughout their lives as well. Therefore, kids will have to develop their skills and improve their balance and coordination, they will be improving their mental-physical relationship while learning to meet a goal, and gaining a sense of independence and accomplishment once they successfully do so. Biking can help teach other important lessons, too. Cycling is a physical activity and can be a great outdoor activity during all seasons even the winter months. 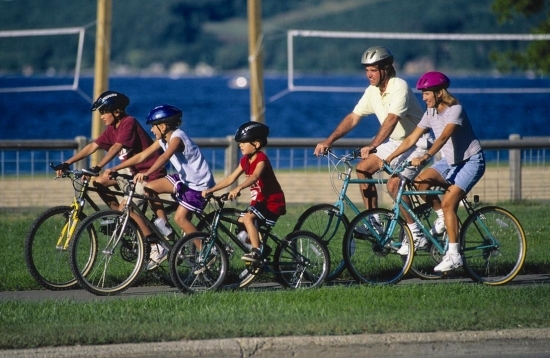 It is becoming increasingly important that parents find ways to keep kids active, especially with the rising obesity problem in the US, and bicycling can help keep kids on the move. Not only is it fun, it keeps them physically active and gives them plenty of exercise. In order to ride a bike safely, kids will also need to learn about the safety measures they need to take while cycling. This skill-set will apply to various other aspects of life, even if the safety measures and rule are not exactly the same. Kids should definitely wear a well-fitted helmet, and elbow pads, kneepads, and even gloves should be considered as well. Aside from wearing the proper equipment, as well as the appropriate clothing and footwear, kids should also know how they should treat certain potential incidents such as if they cannot brake or if they lose control of the handlebars for any reason or if they fall. The goal is to get kids to practice safety and bike well, but accidents happen and it is important that kids know exactly what to do in these situations so they understand how to prevent injury in themselves as well as others. 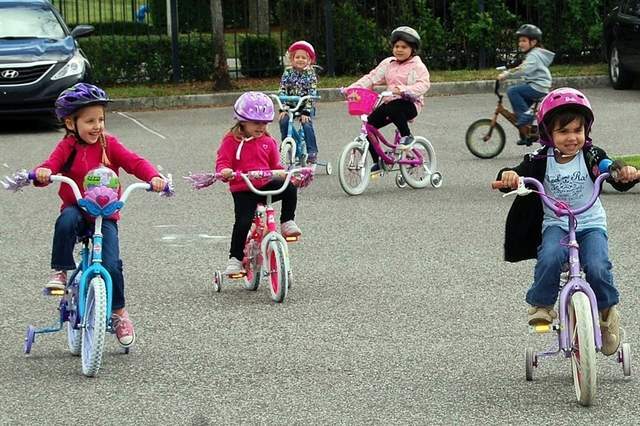 There are many benefits to teaching your child how to bike. It can help teach them a variety of different life lessons and skills while also being fun and active. And you never know, biking and cycling may just become a lifelong hobby of theirs for years to come. So make sure to grab your bikes as a family and enjoy the summer! For more parenting resources be sure to subscribe to the KD Novelties Blog. Happy Biking! How Do I Keep My Kids Reading During the Summer?